National Company, headquartered in Malden, Massachusetts, was a manufacturer of radio receivers for military and amateur use in the mid part of last century. They ran many full-page advertisements that were actually infomercials in that much more of the content presented generally useful technical information than pitched a product. 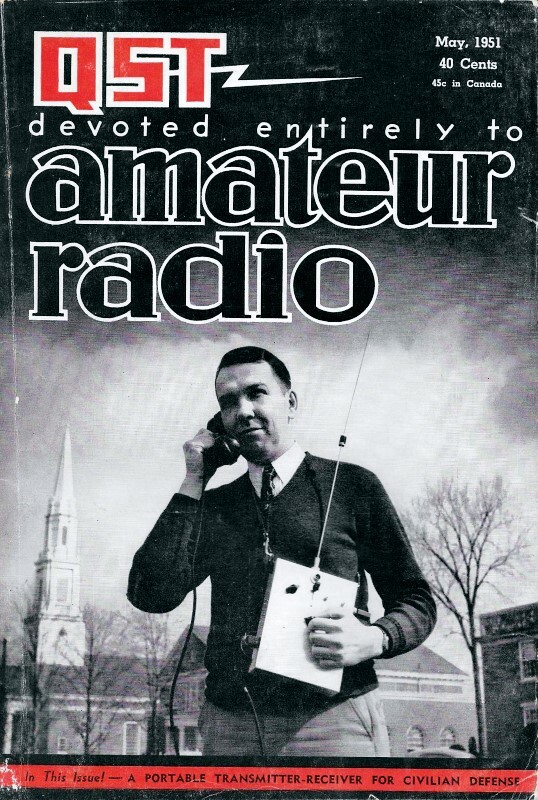 This particular installment, which appeared in a 1951 issue of QST magazine, describes how extensive experimentation and testing on their HRO-50 receiver by a Ham radio guy led to a circuit change in future production models. It involved adding a tuning stage to the band select filter. An equivalent scenario today would probably involve an algorithm change to the SDR (software-defined radio) software. Many old-timers will remember an expression that was used way back in the roaring twenties. I may be wrong, but I believe it was first used with regard to the fellows who felt that the way to reduce the ripple of a power supply was to pile on all the chokes and capacitors that one could get his hands on. If you hung on enough chokes and capacitors, the ripple was sure to be reduced sufficiently. This system was called "brute force and stupidity." Of course, there were (and still are) other applications. A few years ago, I endangered my well-being by applying this expression to a somewhat unstable modulated-oscillator being used on two meters with an input of over 900 watts. The "brute force" system does work and there are applications where it may be the most effective way if the "stupidity" is replaced with "know-how". Such an application of "brute force and know-how" has resulted in improved selectivity in the HRO-50 receiver. Sharper selectivity could be obtained by lowering the frequency of the intermediate frequency amplifier. This method would have two drawbacks. One is the poorer image ratio that would result. The other is the fact that this would narrow the selectivity curve all over. The "nose" would be narrowed in the same proportion as the "skirts". The nose of the present HRO-50 is now about four kc. wide. W1JEL has made rather extensive tests that show that this is about the minimum width that can be used for conventional double-side band reception without loss of readability. More on this in a later page. It is much better to keep the intermediate frequency as high as possible without hiatus (look it up, I had to) in the tuning range of the receiver. By keeping the intermediate frequency at 455 kc., we do not affect the image ratio. How can we get better selectivity without narrowing the nose? 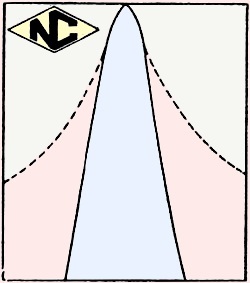 Examining selectivity curves of double-tuned circuits, particularly those using critical coupling, it will be noted that the nose is relatively flat while the skirts are steep. If we add more transformers to the circuit, very little change will be effected in the nose but the skirts will be pulled in considerably. Raising the Q of the transformers will not have nearly as much effect and this effect is apt to be reduced under conditions of high humidity. Pulling in the skirts produces a very definite and worthwhile reduction in splatter and heterodyne interference from signals very close to the desired one while not reducing the readability of the wanted signal. Following this idea, the intermediate frequency amplifier of the HRO-50 has been changed by increasing the number of stages from two to three and the number of IF transformers from two to six (not including the crystal filter). More than six transformers would not be economically worth while as this procedure follows the law of diminishing returns. This change reduces the skirt selectivity from about twenty-four to about eleven kc. at 60 db down while the nose is still about four kc. In line with our policy of making any minor changes in the HRO as soon as practicable when it is found that improvements are possible, this change is being made in the HRO-50 immediately. The new model will be called the HRO-50-1 and will be available shortly.